At City Parks Foundation, we offer a variety of volunteer opportunities across all our programs. From SummerStage to Community Gardening, there is something for everyone to get involved in their New York City neighborhood parks with CPF! Do you possess a boundless supply of enthusiasm, a willingness to meet new people and a desire to contribute to the cultural enrichment of New Yorkers? 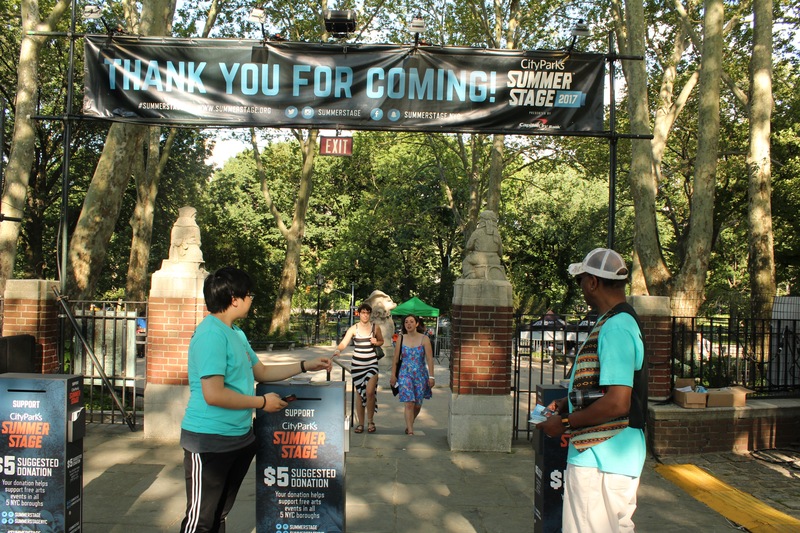 If so, SummerStage wants you to join our volunteer team! Volunteers are the public face of SummerStage, performing a wide variety of tasks at all of our performances. For more information, contact us at (212) 360-2789 or volunteer@cityparksfoundation.org. Are you a New Yorker with a greenthumb? Become a community gardener! Community gardeners tend their own beds and build community. Gardeners are given access to grow fresh produce, organize for a common cause, and foster an appreciation for their urban environment. For more information on or to become a community gardener, contact mhara@cityparksfoundation.org. Request to have a volunteer project planned for your company, school, civic or alumni association with It’s My Park. Volunteering together is an enriching team building experience and great way to give back to a local park. For more information, contact MDaly@cityparksfoundation.org. Generous private support is provided by The Weininger Foundation, The Prescott Fund for Children and Youth, and the Jane Henson Foundation.